A Smile Maker: All of Me. 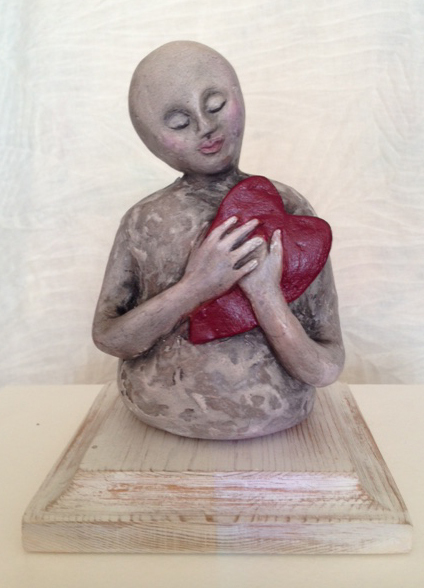 I have been taking an on-line class, SoulBearers by Jeanne Marie Art where I am learning to sculpt. to become part of this class. I just finished my 2nd sculpture. She's titled, "All of Me". She will be in my on-line store by mid-March. IF you want her before then just message me. We'll work it out.